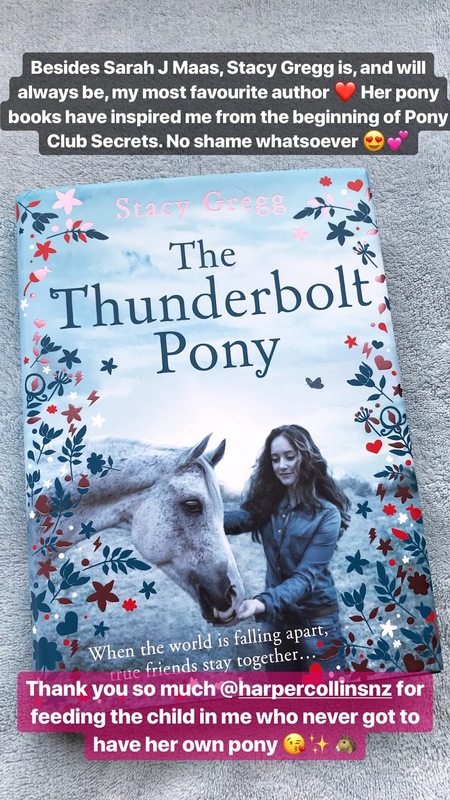 A dramatic and emotional story about one girl’s determination to stand by her beloved animals – and her refusal to give up, even in the face of impossible odds. 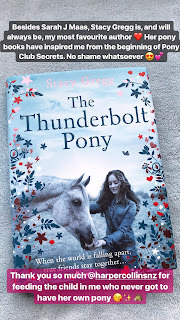 As always I am overwhelmed with love and happiness after reading a Stacy Gregg novel. 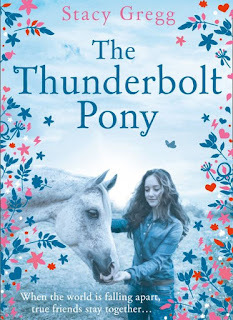 Not only did this book succeed in retelling such a devastating tragedy that befell the residents of Kaikoura, but it follows a twelve-year-old girl called Evie who takes a courageous and heart-warming journey with her dapple-grey pony, Gus, her dog, Jock, and her cat, Moxy. As well as choosing to traverse across the cracked terrain that the earthquake has created, Evie has to make some tough decisions when it comes to managing her OCD and none of it will be easy - mentally or physically. For someone who never really knew too much about OCD, it has come as quite a shock to learn that I have more than a few of the same habits as Evie and actually have struggled with times where I broke down in a sobbing mess because I couldn't handle how dirty and untidy the house was. I always do things in twos or fours, but mostly eights because it's double four so it's more even. I had a habit as a child where I couldn't stop looking at the ground and making even steps on the pavement or I would take a million years to order my things in certain ways. These days I'd like to say that I don't suffer as much as I used to but I've found that things like ordering things when I'm stressed, wiping down the bench a million times for silly reasons or no reasons at all, or literally having a panic attack because the floor was so dirty at one point and we had no vacuum cleaner or broom to fix it. Basically what I'm saying is that if I hadn't of read this book, I wouldn't have realised that some of those things that I suffer with aren't exactly normal because my brain likes to make up stupid reasons to justify my repetitive or unusual behaviour. I'm not trying to say that I'm giving myself any reason to have OCD, I know it might look that way, but I'm grateful because now I understand why I'm so strange sometimes but I also know that it can be helped and changed. All I'm ever trying to do in life is improve my knowledge of things and improve myself as a person so this has really been somewhat of a great learning experience. 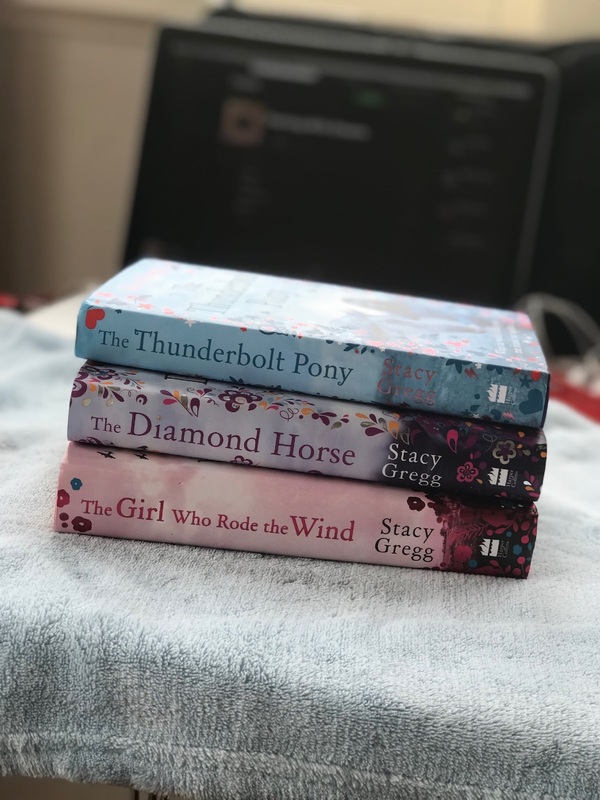 This middle-grade novel has it's light-hearted and encouraging moments where friendship between a girl and her pony or other pets mean absolutely everything, to the point where she will travel across dangerous terrain just to make sure that she can take her horse to safety aboard the HMS Canterbury. The reality of the Kaikoura earthquake is much fiercer and intimidating than what many might have thought if they had not have suffered through it. This was the case for me, being an Aucklander who was born in Christchurch but never had to suffer through a quake in my life because I moved by the age of one to the North Island. 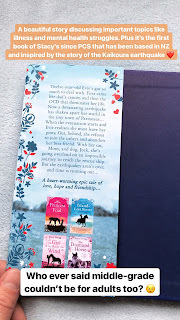 It is truly eye opening to read such a heart breaking tale where lives were actually lost and many people injured, animals left behind and houses destroyed. These tragedies are a common case with cities that sit on the fault line down the country but a lot of us in Auckland might shrug it off after a while because the news has stopped updating about it, yet families from the Christchurch quake are still without homes and money to this day. It makes me want to do something for both cities when I can finally earn some money that I can give. 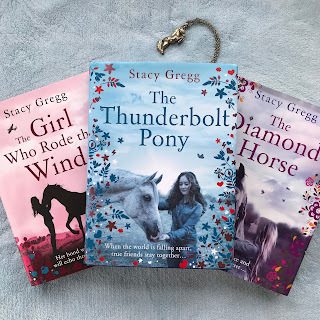 'The Thunderbolt Pony' along with Stacy Gregg's last two novels, 'The Diamond Horse' and 'The Girl Who Rode The Wind'. 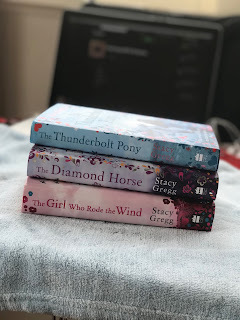 I recommend this novel to anyone who loves cute pony genre stories with a touch of reality that can open your eyes and teach you something new. 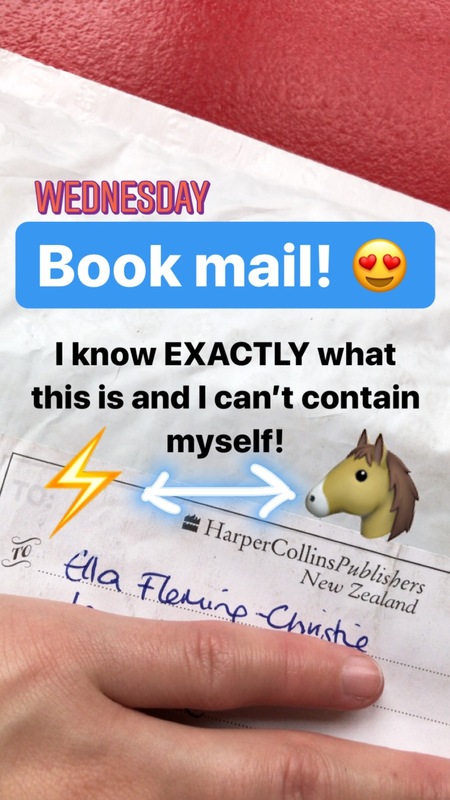 I will say that this book needs a trigger warning for those who have OCD because I found myself becoming more aware of my habits and harder to kick them, but I'm monitoring it better now and letting my family know what I struggle with so that I'm not easily set off or I don't make the wrong impression. 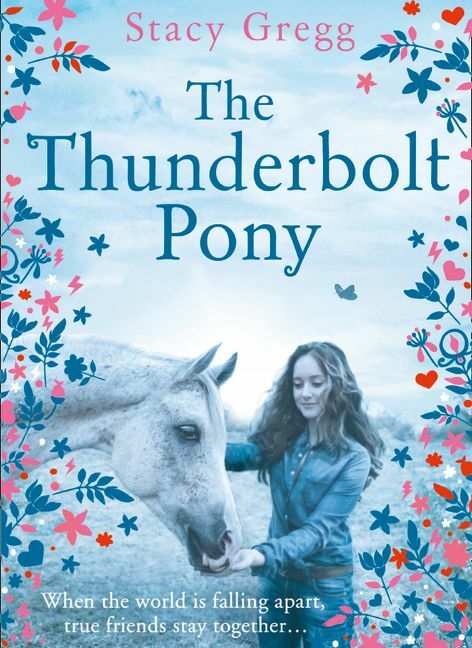 Other than that, I've given 'The Thunderbolt Pony' a 5 out of 5 star rating because it truly was one moving tale. 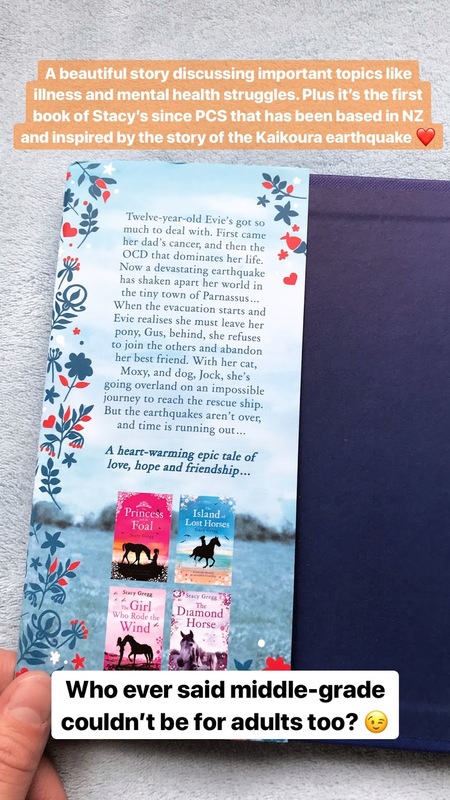 This would also be perfect for parents to get for their children so they can learn more about the earthquakes in the South Island and have a lovely story to enjoy where pets are more than friends, they're also family. 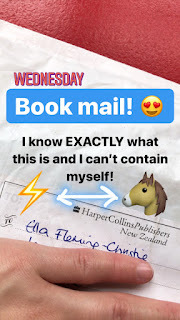 Click the photo to check out my Instagram!